This community has a screenshot thread and a space art thread, so I figured it could use an astrophotography thread too. If you've gone out and taken any cool photos of the sky, post them here! Very nice images! What type of telescope do you have? Here's a shot of the moon through my 8 inch dobsonian with an Iphone camera. Thanks. 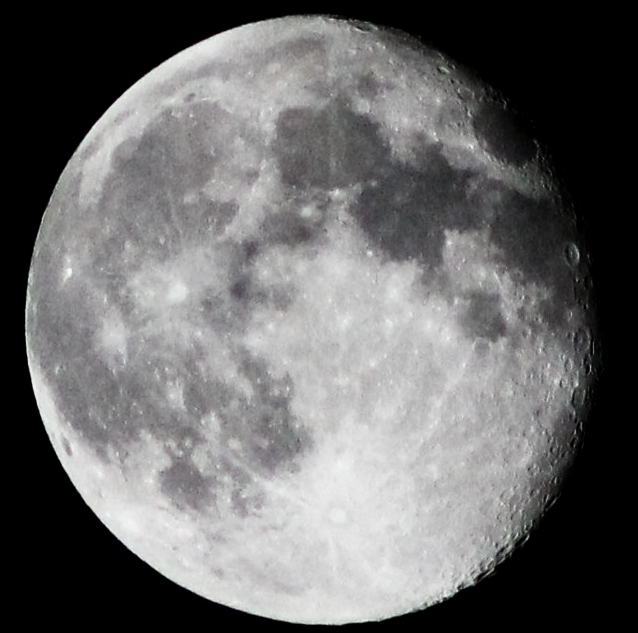 I don't have a telescope anymore, most of these shots were taken with my Canon EOS 1000D and 300mm lens. 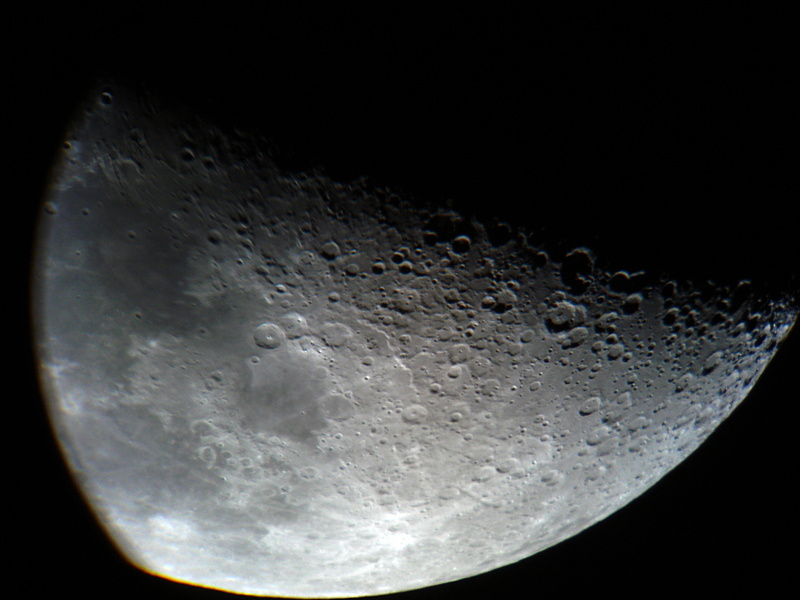 There were a few that were taken through telescopes of various sizes while I held a small camera up to the eyepiece. What I really want is a motorized equatorial mount to take good long-exposure images of the sky, but for that to be very effective I would also need to go to darker skies. There's too much light pollution where I'm at to get the kind of pictures that I really want to capture. That's a nice image through your scope Talisman, with the right camera equipment I'd bet that you could get some really nice planetary shots with it. Wow for just a camera those look fantastic. 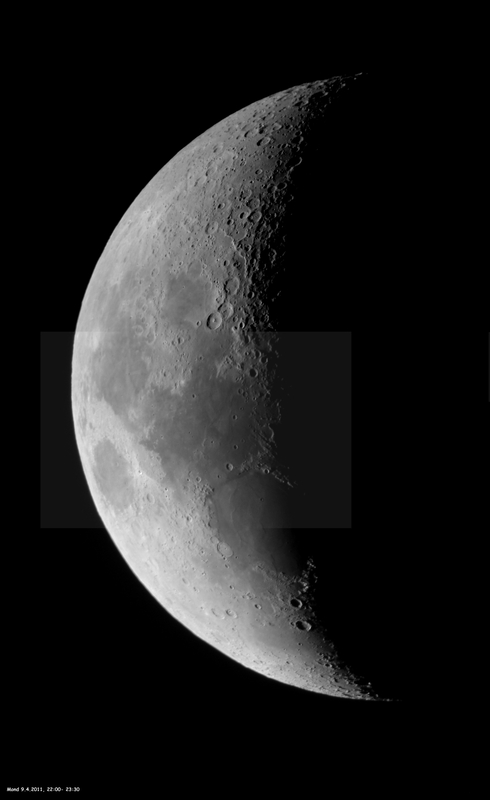 A mosaik of three picture, that I took through my 8" Dobson with a little digital camera. The background picture in the middle is a bit brighter than the backgrounds of the others, because the brightness of the moon should be the same over the whole picture. But I like this brighter area. It gives the picture something special. Click on the image to go to its page, where you can find the camera data and other such stuff. Did you add the noise or is that from your exposure/ISO settings? Whats your cameras max ISO? My new camera goes up to 6400 but I try to stay below 400, highest I will use is 800. Also do you use jpeg or RAW? Just wondering because, as I said, I got a new camera and I'm not entirely sure where to begin on images of things at night. My new camera goes up to 6400 but I try to stay below 400, highest I will use is 800. Also do you use jpeg or RAW? My camera is a few years old, and an entry-level model, so it's a little short on the features. The highest ISO it can do is 1600, and it looks awful with it. I don't like to use anything higher than 400. I use JPEG, but I really should use RAW. I just keep forgetting to switch my settings For most everyday shooting though jpeg is fine. I haven't messed around with RAW very much since I only recently learned enough about this stuff to know what I'm doing with regards to that. But I will probably start using RAW for all my astrophotos from now on. I don't know whether it will make any difference at all, but I'll start working with it. I'm not entirely sure where to begin on images of things at night. I suggest just going out and trying anything and everything! Everything that I know I learned from trial and error. That's the most marvelous thing about a digital camera: you can take hundreds of pictures at a time, and you can see the results of each immediately, so you can learn very quickly. Oh, also enable mirror lockup to reduce camera vibrations. It's best to use a remote shutter, but if you don't have one then the 2-second timer works well too. And once you get a good focus using a very distant bright light, or a bright object like the Moon or Venus, switch the focus mode to manual to prevent the camera from trying to refocus and ruining everything. Just be careful not to touch the focus ring once you're in manual mode. 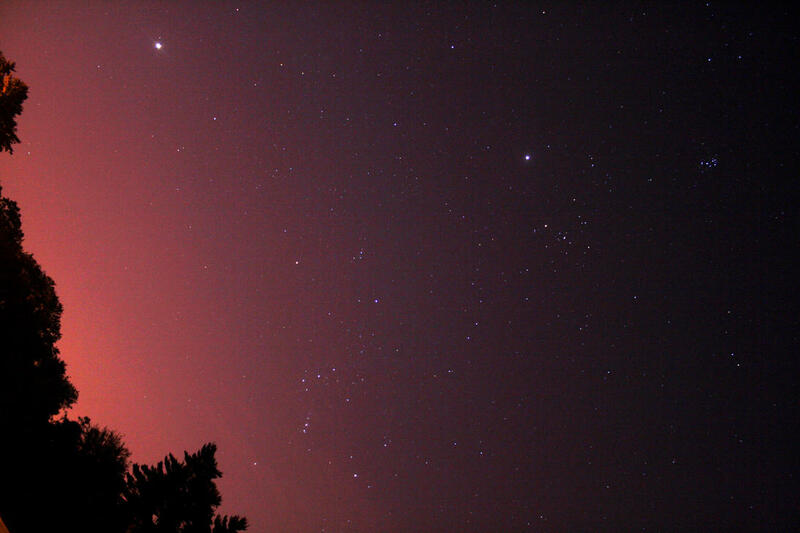 Focusing the camera correctly for astrophotography is a nightmare. I don't know whether it will make any difference at all, but I'll start working with it. It makes a huge difference if you use a high ISO and longer exposures. You can do quite a bit of tweaks, however you may need a larger memory card. Well I got that, its not the best one but it let me take this with my telephoto. Oh, also enable mirror lockup to reduce camera vibrations. Not sure how to do that, as you can see from the blur on the previous picture. I'll have to check my cameras manual. Yeah I noticed the slight movements on very long exposures ruining images. I'm going to look into getting one soon. That was the main reason I got a new camera. I got tired of the auto focusing digitals I had and wanted to move up to a DSLR. Just be careful not to touch the focus ring once you're in manual mode. Oh don't worry I've been doing stuff with cameras for quite some time now. Focusing the camera correctly for astrophotography is a nightmare. Large bodies are easy, meaning the moon. Long exposures for stars are also easy, but I haven't yet been able to do anything with Venus/Jupiter/Mars/Saturn. Yeah I noticed the slight movements on very long exposures ruining images. That's a pretty nice shot! What kind of lens did you use? For shooting the Moon, ISO 100 and shutter speed in the 1/200 to 1/400 area is usually good, depending on the phase. Makes for very low noise images. I have a Canon 550D. Was around when I got my camera and I was testing it out in comparison to my old one. I could probably get a better one now that I've learned more about my camera. I was using a Canon EF 75-300mm f/4-5.6 III Telephoto Zoom Lens. Have to use a tripod for obvious reasons. I figured that one out in the last few weeks. When I took that picture however I was using ISO 1600. Would have been better to use a lower ISO and a longer exposure.